Listed below are a selection of stockists both in the UK and overseas. When contacting any of these stockists, please mention this site. If you would like to be included in this list, please contact me for further details. For UK residents interested in purchasing models from overseas, please ensure you visit the Information page of this site. The Model Store started in 1993 and acquired the long established Allsorts business in 2003. We stock all the new 1/76 scale bus releases and around 90% of all the obsolete 1/76 scale buses issued are always available, Corgi OOC, EFE, Britbus, Creative Master, BT Models, Oxford Diecast and more, all pictured on our secure online website. For customers with other interests we also stock new releases from Corgi, Minichamps, and many other well known brands. We serve customers throughout the world offering good prices and a service we are proud of. UK orders over £60 are post free, overseas at cost. Welcome to Buckie Model Centre I now stock Model Aircraft from Herpa Wings, Inflight 500, Net Models, Big Bird, Gemini Jets, Dragon Wings, Star Jets, Hobbymaster and lots more. Trains from Hobbytrain, Fleischmann, MFTrain, Roco, Minitrains, Minitrix, Kato and more. Halling Blackpool Trams. Tamiya Waterline Ships. Buses from Corgi, Forward Models, Oxford Diecast, Creative Master, EFE, LLedo and some repainted buses in unusual colours. Trucks and other vehicles from Tekno, Herpa, Oxford Diecast. I specialise in Herpa Wings and other 1.500 scale aircraft, Herpa and Tekno vehicles plus Continental and American N Gauge Model Railways but plan to expand the selection over the next few years. I hold a stock of items but by working with other shops thoughout the country I can obtain most things at a reasonable prices. Please feel free to ask I will do my best to obtain the items you require. Shop visitors welcome by appointment – please call 07487899943. Corgi Gold Star Stockist. You are assured of a very warm welcome from John and Heather. They have in stock a huge range of diecast (new and obsolete), model railway, slotcars, kits etc. Most model buses sold. Many EFE & OOC rarities always available, especially London Transport. Wants lists always welcome. U.K. mail order service available. (No personal callers, mail order only). "We stock an extensive and expanding range of British model buses, which can be purchased from our shop or online at very competitive prices. We also carry huge stocks of other diecast models, plus model railways. You can place your order on our website, www.hattons.co.uk which also includes a great selection of second hand items, as well as pre-order options for items that have not yet come in stock. Our range includes products from the following manufacturers: Bachmann, Britbus, Corgi, Creative Master Northcord, Dapol, EFE, Gaugemaster, Graham Farish, Heljan, Hornby, Kato, Peco and Superquick". We are suppliers of quality Die-Cast Models and stock a very wide range. We offer secure on line ordering and despatch of models worldwide. If the model you require is not listed on our web site please contact us to check availability, all enquiries are welcome. After trading from our shop in Lewisham for some 17 years we now conduct our business from the below address. and also much more including a vast range of bus books including Ian Allan, Capital Transport, Venture Publishing and more. We value your custom and hopefully can be of service to you. Promotize is a name well known by many collectors for it specialist mail order service not only in the UK but world wide, spanning some fifteen years in the model die cast world. Corgi Original Omnibus, Vanguards, Trackside, - EFE - Minichamps - Auto Art - to name a few of the products available. If you don’t see what you want on our website, just ask – we can usually source for you. As the name says, Time Tunnel are in-depth Corgi Stockists, dating back to when Corgi referred to their top dealers as Gold Star Stockists, and carry the entire range. Not only do they take pre-orders on all new releases but there are extensive back issues on their web site. The full range of EFE, Northcord, Sunstar and Britbus are also carried - these are announced regularly via subscription emails. World Wide mail order service. Secure on-line ordering. Low postage rates. Hours: Monday - Friday 10AM to 4PM. 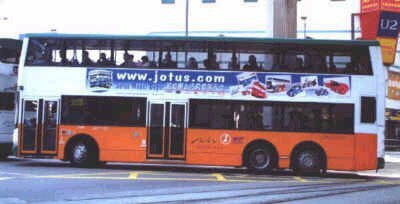 TTC Diecast announced earlier this year that they had replaced EFE as the main sponsor for Showbus 2011. 'It gives us great pleasure to support this event and we look forward to the show every year, and to become the main sponsor is a real privilege'. We will use the opportunity to showcase some of the new models we are working on Manufacturing during the rest of 2011 and into 2012, and we hope to have at least 8 (YES EIGHT!!) new castings announced on the day, with at least 2 pre production models (subject to availability). We will also be exclusively selling this year's commemorative model which, will be a special SHOWBUS version of the excellent FRM1 (Search FRM1SB on our website to pre-order one. We look forward to seeing you there, and look forward to your support of what looks likely to be the best SHOWBUS yet!. We supply Corgi/Hornby, EFE, CMNL UK, Britbus & Sunstar Bus Models all at discount prices and post & packaging is just £2.00 per model. "We specialise in high quality scale models, including a large range of 1:76 Hong Kong bus models, 1:18, 1:24, 1:43 scale models and 1:400, 1:500 scale plane models. Our range includes Corgi, EFE, Herpa, Schuco, Dragon & Peak Horse. We display all our stock items on our website, giving detailed product descriptions. Orders can be shipped to almost anywhere in the world. Our Technical Service Centre provide custom-made and repair services including painting, decal/water slide, license plate, side mirror, wiper as well as body advertising, etc. In addition, if you are looking for models not displayed on our site, please click here to e-mail us".